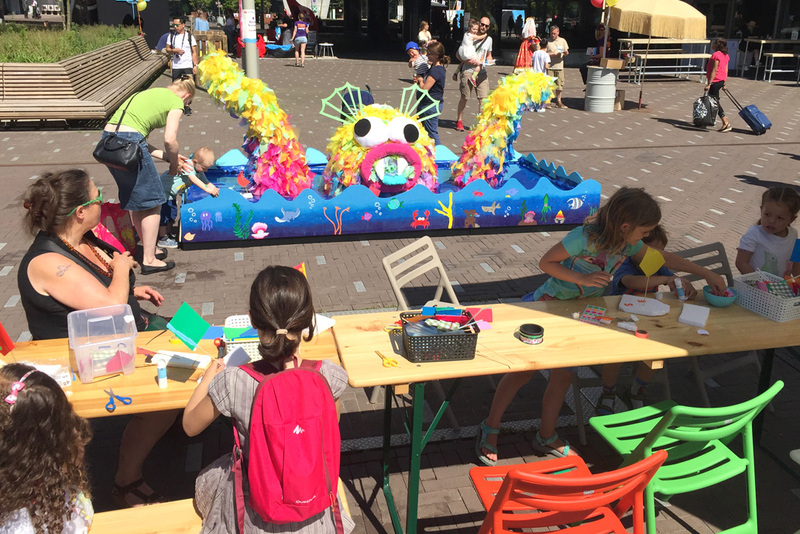 Every year the Kids Book Museum / Kinderboekenmuseum organise the Kinderboekenparade festival in the Hague. For the second year we were honored to design a workshop installation for the Children Book Parade. 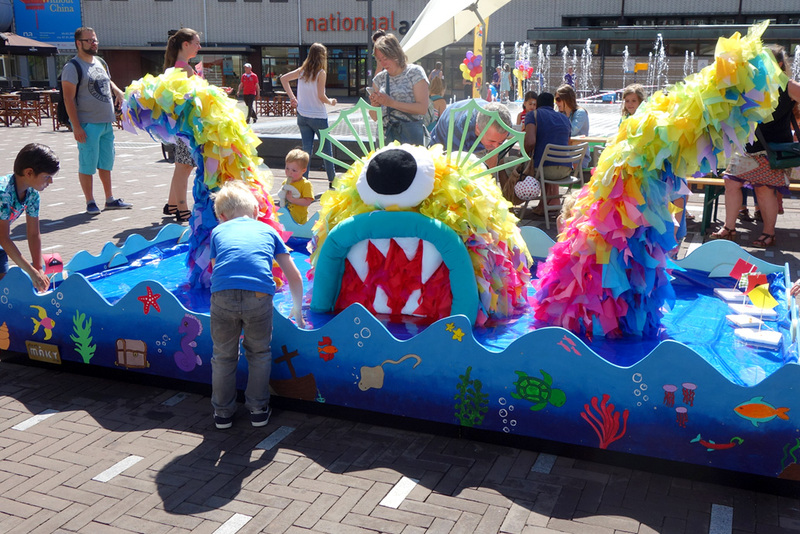 This year’s theme was: ‘Around the Seven Seas” and we came up with the idea of the Two-Face Sea Monster. 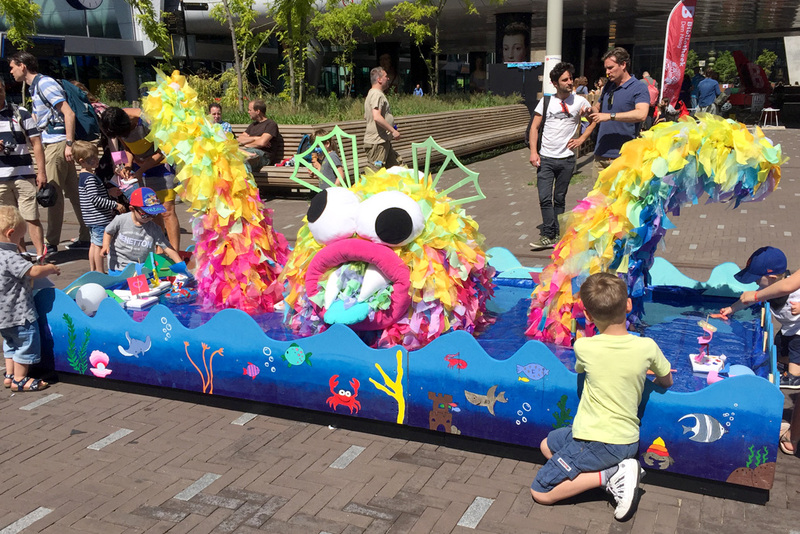 Kids has to be aware and challenge the monster from both sides floating in the wild sea water!